Cornerstone Church-wide Picnic at the Park - Sunday, Sept. 27, 2:00-7:00 PM! Everyone Welcome! 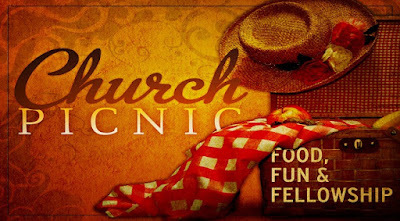 This Sunday, September 27, we will have our Annual Church Picnic at the Ellis-Porter Riverside Park. I hope you will bring your family and come to this special afternoon/evening of fellowship and fun! This is very informal. Just a time to relax and enjoy one another's company. There will be some games you can play or you can just sit in the Pavilion and relax. There is a great kids playground close to the Pavilion. Bring a side dish or dessert to share and come to have a great time together! To get to the Park, take Grant St. off McCarty and it will run right into the Park. We will be at the big Pavilion on top of the hill. Praise God for a Wonderful VBS 2015! I'm late getting this written. It seems the past month has been a real whirlwind! Our 2015 Vacation Bible School was out of this world! We had 196 total enrollment, with an average of more than 170 in the building each night. Two children (that we know of) asked Jesus Christ to come into their lives! Praise the Lord! Of the 196 enrolled, 42 are people who indicated no church affiliation. What a joy to reach out and let people know that Jesus loves them! I am very grateful for a church that takes outreach seriously, and that believes in Vacation Bible School. It is a huge commitment of time and resources, but well worth it. We are one of the few remaining churches, that I am aware of, that offers Vacation Bible School to every age group - from Nursery to Adults. Thank you for being such a wonderful church! Every teacher, every worker, every person who prayed had a part in what God did during this wonderful week. The exciting thing is that the countless seeds planted in the hearts of children, youth and adults will continue to grow and bear fruit in the months and years ahead! We simply joined God in the great work He was doing. Let's keep doing that! Thank you to my wife, Rose, for doing an outstanding job as VBS Director, and to everyone who made this week possible! To God be the Glory! Special "Mother's Day" Worship Service - May 10, 10:30 AM - Join Us! We hope you will join us in Worship this Sunday Morning, May 10, 2015, at 10:30 AM for a special service honoring the women of our church! Mother's Day is such a special time to give thanks for the mother God has blessed us with, and for all the women that God uses in such a wonderful way to impact our lives. As part of our service, we will also be dedicating several of our children as their families desire to come forward and dedicate themselves to raising them in the "nurture and admonition of the Lord." 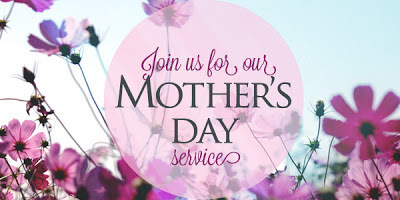 We will have a special time to honor the mothers / women in our service! So, come and join in this special time of worship and praise to the Lord! 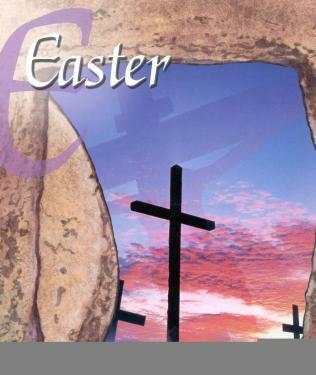 "Grace Amazing" - Sermon Series on Examples of the Wonderful Grace of Jesus - Continuing through Easter Sunday, April 5! 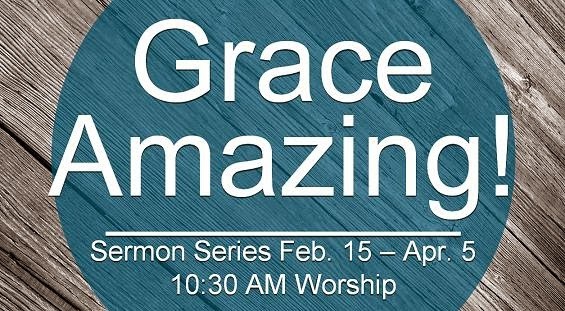 Continuing through Easter Sunday on April 5, we will be looking at a series of sermons on Sunday Mornings (10:30 am) that focus on "Grace Amazing" - examples of just how the marvelous grace of Jesus still amazes us. Join us for this series of messages that shows us just how deep, how wide, how broad, how high is the Grace of Jesus! Tonight, we will have our 6:30 Prayer Meeting Only due to the snow. Our parking lot is covered, and roads slick this morning. That makes it difficult for our Kitchen crew to get out, buy the supplies for the meal etc. So, we will not have our meal, and no children/youth classes this evening (the bus won't run). Take care. 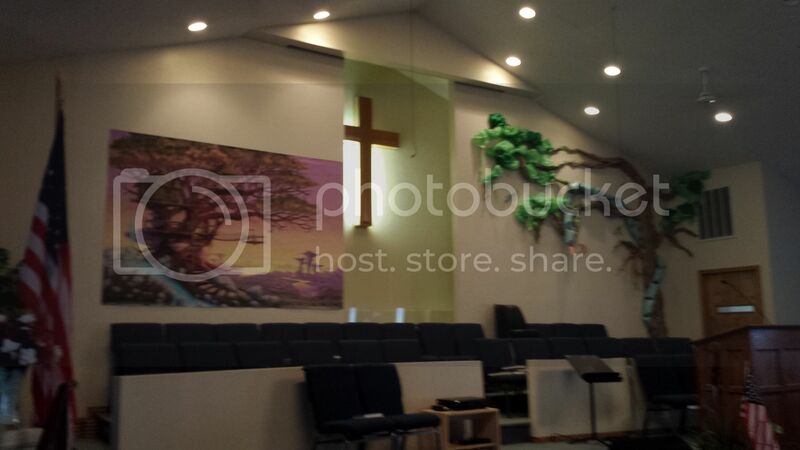 Look forward to seeing you for Prayer Meeting tonight or for Sunday School/Worship on Sunday! Due to the snowstorm today, and more expected overnight and in the morning, we are canceling all Sunday Services for tomorrow, March 1. Please stay safe and warm! We look forward to seeing you Wednesday and/or next Sunday to worship our Risen Lord!